SynopsisA mysterious, lethal disease is on the loose worldwide, resulting in a catastrophic death rate of humanity, and the increasing rise of attacks, caused by the living dead.In Japan, several high school students and a school nurse have banded together to escape Fujimi High School shortly after it was attacked by zombies. 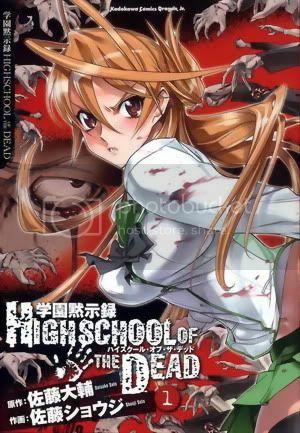 The group now attempts to figure who or what was responsible for this plague, and in the meantime, attempt to survive the present apocalypse.The story is initially narrated through the eyes of Takashi Komuro, one of the students who had survived in the initial outbreak. Thank you for this, but you need to put the [Mature] tag on your thread title. I did it for you.Another question: is that in english? If so, please put the scanlator that are doing it.